Victoria Chipeur was born on October 3, 1917 in the Otthon District of Saskatchewan. She was one of nine children born to Frank and Anastasia (nee Zukowich). Victoria attended school in the East Otthon District. Victoria lived a very full life of 101 years. She worked as a waitress for many years. During those years, she also participated in community organizations, such as Elks Royal Purple, sporting activities and loved entertaining and socializing with friends and neighbours. Once retired, Victoria spent years working in the church hall cooking, baking, serving and carving turkeys. Victoria was known as an avid gardener, always daring a weed to poke up, and canning the fruits and vegetables, also enjoyed playing crib and rummy, bowling and socializing with family and friends. She loved to dress up and was famous for her spiked high heels. Victoria was predeceased by her parents Frank and Anastasia; her husband Val and her sisters Theresa, Helen, Martha, Angeline and her brothers Martin, Vincent, Philip and Ed. She leaves to morn her passing and celebrate her life, son Ralph (Charlene) and Dennis (Ardis); granddaughter, Daniell Finlay (Cory) and great grand-daughter Adisyn, and grandson Ashley (Gabby), great grand-sons Chase and Corbin; and Vaughn Chipeur; as well as other numerous nieces, nephews, other relatives and dear friends. Funeral Mass will be held on Saturday, April 6, 2019 at 1:00 at St. Gerard’s Roman Catholic Church in Yorkton, Saskatchewan. The Interment service will follow in the Yorkton City Cemetery. If so desired, donations can be made to the Canadian Cancer Society. 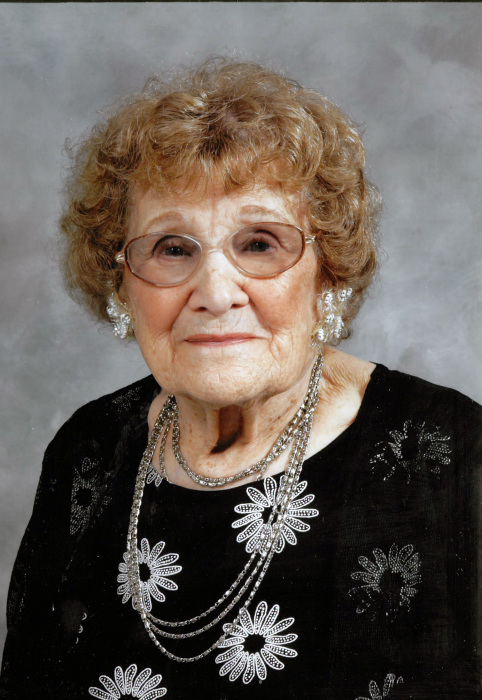 Victoria Chipeur of Yorkton passed away March 31, 2019 at the age of 101 years . A Funeral Mass will be held for Victoria on Saturday, April 6, 2019 at 1:00 pm at St Gerard's Roman Catholic Church with Fr. Louis Kim Nguyen officiating.